Emma Dale is a certified coach with the Institute of Executive Coaching & Leadership (IECL) and the Founder of Transform. In addition, she is the Co-Founder of an award-winning global recruitment business based in London and Asia. 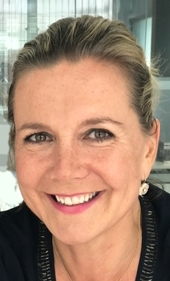 Drawing on her experience as a successful business leader, Emma coaches managers and leaders across all industries from financial services to luxury brand marketing. She is regularly engaged by Multinational Corporations to coach high-performing individuals on leadership development. Emma has a very positive, ‘can do’ approach to coaching, inspiring people to follow their passions in life whether they are at a career crossroads, re-entering the professional realm or simply stuck in a rut. She encourages her clients to dream big and builds up their confidence to achieve their goals. Emma is dedicated to diversity and equality in the workplace and challenging the status quo. As such, she is an active member of The Hong Kong Women’s Foundation, mentoring and emboldening women of all ages and industries to become leaders in their field. Described by her clients as considerate, supportive, insightful and highly professional, Emma’s unique strategy will enable you to achieve a more fulfilling work life. No dream is unattainable.